law enforcement career joinmpd Montebello increase understanding crime National 9-1-1 Education Month murder Police Chief Robbery lateral police officer Montebello community Buzzed 10 years vacation watches auto theft alerts DUI Citizens Academy package theft identity theft :Secure 4th of July Randall Fletcher police Community Relations Ceremony buzzed driving 10851 award cell phones shooting hiring fireworks Drunk driving enforcement Seatbelt Drunk Offer UP Madison Ave “ hands-free ” Facebook Marketplace Police Department Distracted Driving shoulder surfers United States security card gold line Handgun safe exchange zone brad Keller recruitment – Drivers MontebelloPD Traffic Collision bank account number May 14 police officer security number ST. Patrick's Day California Fire Marshalls Montebello Police Department week operation emergency mail theft traffic Poplar Ave awards website Safe&Sane Dispatchers Telecommunications Week information . 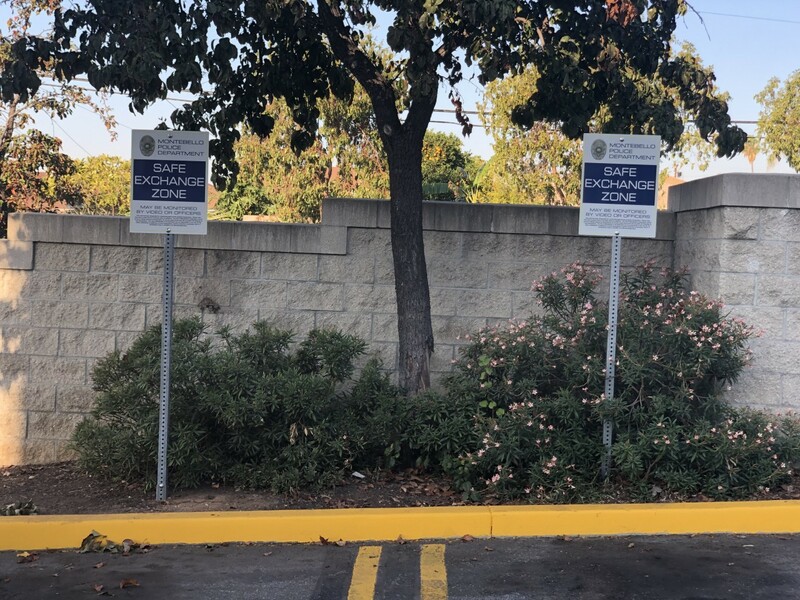 On May 14th, 2018 at approximately 2:01 pm, Montebello Police Officers were dispatched to 2112 W. Whittier Blvd. regarding a shooting. When Officers arrived they located a male victim suffering from several gunshot wounds. He was rushed by paramedics to LA County USC Medical Center and underwent surgery. The victim was later released and is recovering from his injuries. The subsequent investigation found that three male suspects had entered the store to commit a robbery. Two of the suspects were armed with semi-automatic handguns. During the robbery, the victim, who was also armed with a handgun, exchanged gunfire with one of the armed suspects. The victim along with one suspect was wounded in the shootout. All three suspects fled the location without any merchandise or money and left in a light blue Chrysler 300 sedan. The vehicle was seen by witnesses traveling westbound on Whittier Blvd. and out of sight. The vehicle was driven by a fourth suspect who is still outstanding. Detectives conducted a detailed and lengthy investigation in order to identify the three suspects involved in this crime. Detectives used social media and information released to news outlets to develop leads. Several search warrants were served and evidence linking the three suspects to the scene was obtained. 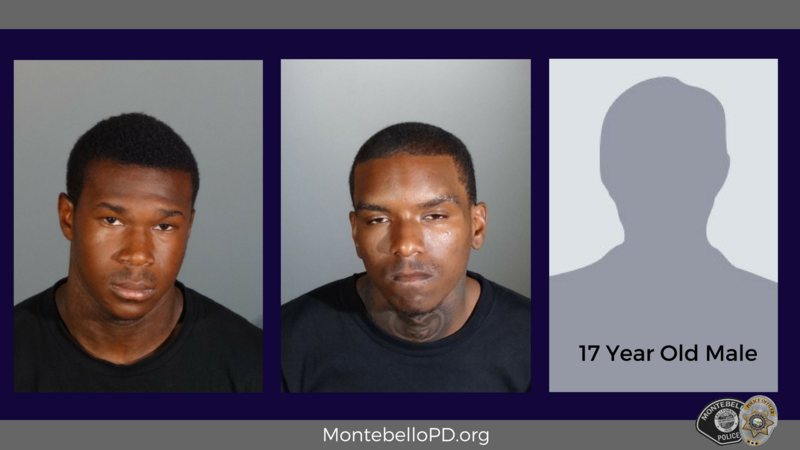 With the assistance of the Long Beach Police Department, Montebello Detectives successfully arrested all three suspects within days of the incident. On May 21st, 2018, Montebello PD detectives presented the investigation to the Los Angeles County District Attorney’s Office. The DA’s office formally charged Craig Hill, Roddrick Reddix, and a 17 year old male with attempted murder and attempted robbery with gang enhancements and the special allegation because a firearm was discharged. All three suspects could potentially serve 25 years to life in prison. The Montebello Police Department is still looking for information about the getaway driver and the blue Chrysler 300. If you have any information please contact Detective Adams at (323) 887-1256.